It’s time to plant garlic in non-tropical warm and temperate climates, and sow garden peas in frost-free areas directly into a garden bed with a trellis to support the plants. 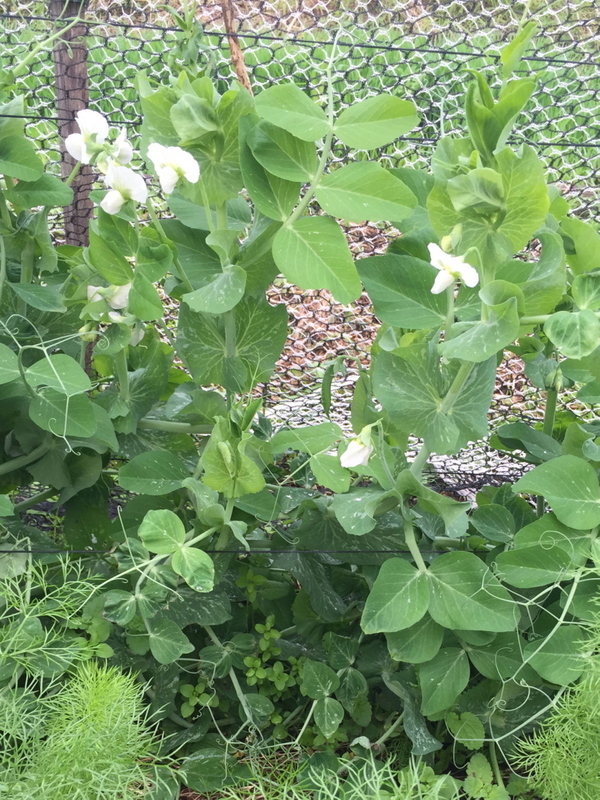 Contrary to some garden guru advice, legumes do need compost or complete organic fertiliser added to the bed before sowing here as Australian soils do not naturally contain the rhizobia that fixes nitrogen in these plants. 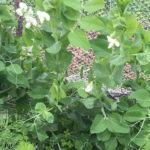 If you live in a frost-prone climate, remember that peas take about 14 weeks from sowing to harvest, and time the sowing of peas so that they will not be flowering during frost periods. The plants are frost hardy but the flowers are not. Don’t cut back asparagus plant until the foliage yellows, which is a sign that plants have withdrawn nutrients into the crowns for growth next spring. Before the Full Moon, bulb fennel, open-headed Chinese cabbage, grain crops, lettuce, mizuna, radicchio, rocket, silver beet (pre-soak seed), spinach, tatsoi, chamomile and coriander can be sown directly into beds, also a green manure crop of barley, cereal rye, chick pea, white clover, faba bean, field pea, cereal rye, Japanese millet, oats, triticale, or wheat. Leek and spring onions can be sown or planted out. During First Quarter phase, broad beans, and peas can be sown directly into beds. During Full Moon phase, radish, turnip and garlic can be sown directly into beds, also potato north of Brisbane. Early season onion and watercress can be sown or planted out. Olive trees can be planted. Before the Full Moon, bulb fennel, open-headed Chinese cabbage, grain crops, lettuce, mizuna, radicchio, rocket, silver beet (pre-soak seed), spinach, tatsoi and coriander can be sown directly into beds, also a green manure crop of barley, cereal rye, lablab, oats, or triticale. Fast-maturing celery, headed Chinese cabbage, leek, silver beet, spring onions, parsley, and chamomile can be sown or planted out. During First Quarter phase, bush and climbing beans and peas and sweet corn can be sown directly into beds, and pumpkin, rock melon, summer squash, tomato, watermelon and zucchini can be sown or planted out. During Full Moon phase, beetroot (pre-soak seed), carrot, radish and swede can be sown directly into beds, and evergreen trees, shrubs, and vines can be planted. Before the Full Moon, open headed Chinese cabbage, lettuce, mizuna, spinach and tatsoi can be sown directly into beds, also a green manure crop of faba (broad) bean, field pea, barley or oats. (Cereal rye can be sown in frost-free areas.) In frost-free areas, grain crops, lettuce, radicchio and spring onions can also be sown or planted out. During First Quarter phase, fast-maturing broccoli, broad beans, peas and chamomile can be sown directly into beds in frost-free areas. In frost areas, delay sowing broad beans and peas until June. Although the plants are frost-hardy, the flowers are not. During Full Moon phase, radish, turnip, and garlic can be sown direct, and early season onion can be sown or planted out. In frost-free areas, strawberries can be planted out. Before the Full Moon, suitable lettuce and spinach can be sown directly into beds, also a green manure crop of faba (broad) bean or field pea, oats, or triticale. Spring onions can be planted out. First Quarter phase: broad beans and peas can be sown directly into beds in late May. Avoid sowing broad beans and peas too early in frost areas. Although the plants are frost-hardy, the flowers are not. During Full Moon phase, radish can be sown directly into beds, and early and mid season onion can be sown or planted out. Garlic can be sown in warmer areas, and raspberry and currants can be planted from mid May. This entry was posted in Fruits and Vegetables, Herbs, Moon Planting diary and tagged Aussie gardening, Australian organic gardening, backyard vegetables, climate change gardening, cuttings, easy gardening, easy organic gardening, environmentally friendly gardening, first quarter moon, flowers, fruit, full moon, garden soil, gardening advice, growing plants, Healthy soil, Herbs, how to grow, last quarter, lunar cycle, lunar month, May, moon phases, Moon Planting diary, moon planting guide, new moon, New Zealand, organic fertilisers, organic gardening, planting by the moon, plants, propagating, sustainable gardening, synodic period, vegetables, weeds, what to grow, when to sow. Bookmark the permalink.